AHHHH WHAT THE HECK, POCKET WATCHES?!?!?! Nuuuuuuuuu *cries* They look so friggen nice!! Hehehehehe yeah... pocket watches, can you believe it?!?!?!? They are nice aren't they, I would really like one, the colors are so beautiful! Hahahaha don't you think Shiraishi's bandages are a bit scary there? =P But yeah, gorgeous as always!!! 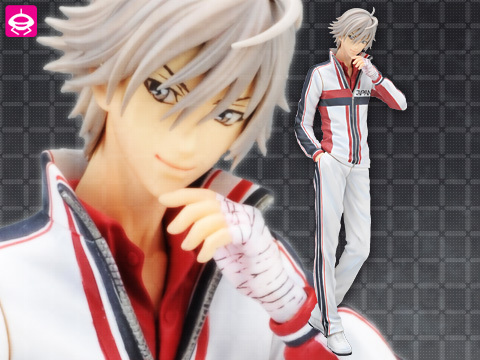 Oh, just wondering, would you like a Shiraishi figure if I can find one? Haha yes! 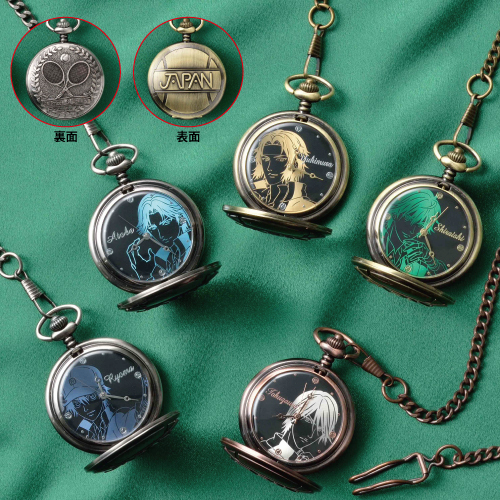 I bet those pocket watches will be expensive lol. YES!!! If you can find one I would like to have a Shiraishi figure :D! Ok! sounds good to me. Thank you Linna-chan :D! Well.....from what I know it depends though because some japanese sites shipped internationally, but those sites do not offer every merchandise from animate or movic. Oh yeah, I forgot to mention, I shipped your package today ^___^ It weighed more than a pound so I couldn't send it First Class, so I sent it Priority Mail to you instead =) You'll receive it in 2-3 days!!! The confirmation email with tracking should've been sent to you already, let me know on my feedback as always when you receive it!! !